Go Forward. 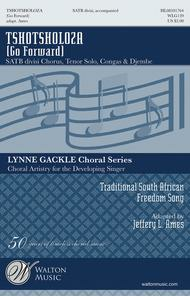 Composed by Traditional South African. Arranged by Jeffery L. Ames. Lynne Gackle. Music Education. Octavo. 12 pages. Walton Music #WLG139. Published by Walton Music (GI.WLG139). Zulu and Ndebele. Text by Traditional South African. 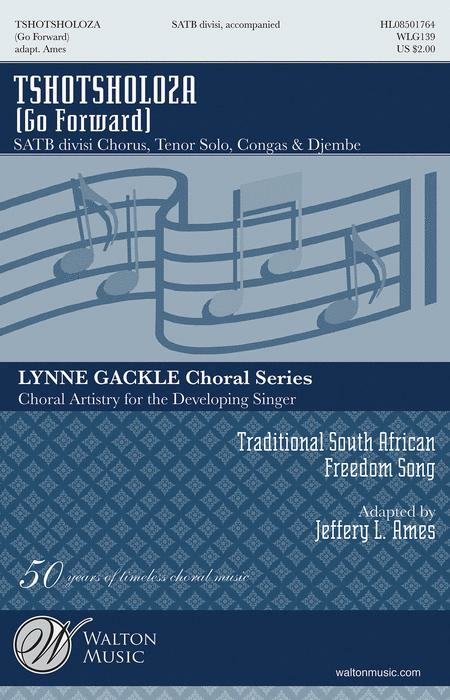 Now available for mixed voices, this rousing arrangement of the popular African freedom song has become a standard in the choral repertoire. With call-and-response vocals, Africa text and rhythmic percussion accompaniment, it transports the listener to South Africa, where the song is often referred to as the "unofficial anthem" of the country. Essential multicultural programming. Available separately: SATB divisi, TTBB. Duration: ca. 2:00.